"...an inherited sensibility, a predisposition to stand above the crowd, to remain unmoved by the fashions of the day ...."
“There are no rules” might seem an implausible mantra for a French aristocrat whose family was ennobled so long ago that the Bourbons are relative arrivistes. In reality, however, it is precisely this aristocratic heritage that bequeaths to Etienne de Montille the confidence to rely on his own finely-bred instincts and considerable winemaking skills. The Montille family descends from one of France’s most distinguished noble families, and their roots in the Côte de Nuits extend back to the era of Phillip the Bold (1342-1404), who ruled Burgundy when it rivaled France in wealth and prestige. Americans tend to dismiss the value of such a legacy if not, in fact, to disparage it; but the actuality is that such a legacy can contribute enormous value to society at large. Properly transmitted, an aristocratic heritage is not a matter of material wealth or social position but rather an inherited sensibility, a predisposition to stand above the crowd, to remain unmoved by the fashions of the day, to protect and promote those values that transcend self-interest. 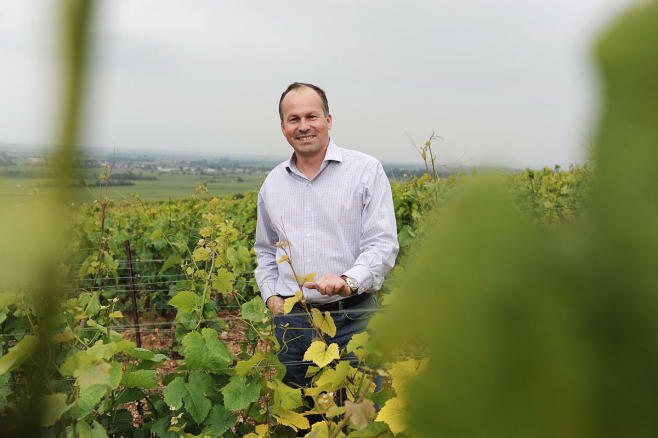 Moreover, unlike the majority of vineyard owners in Burgundy, Etienne de Montille and his father Hubert enjoyed distinguished professional careers (Etienne as an international banker, Hubert as an avocat) that liberated them from economic dependence on their vineyards. They were relieved of the obligation of pandering to vulgar tastes, and free to make wines to their own tastes and sensibilities, wines true to Burgundian tradition. Etienne and Hubert de Montille have been resistant, if not immune, to the economic and social pressures of producing wines catering to the caprice of a changeable international market. Instead of following the Siren songs of Guy Accad and Robert Parker, the Montilles have focused their efforts at producing traditional Burgundies that faithfully express the terroir of their vineyards. The Montille vineyards traditionally included some of the finest in Volnay and Pommard, as well as within the entire Côte-de-Beaune. With recent acquisitions, the Montille vineyards are among the finest in the Côte d’Or, comprising some 15.76 hectares in total. There are three Volnay Premiers Crus: Les Taillepieds (.80 hectares), Les Mitans (.73 hectares), Les Champans (.66 hectares), as well as 88 ares from three other Premier Cru vineyards that together produce a Volnay Premier Cru. In Pommard, the holdings comprise a little over an hectare each of Les Rugiens and Les Pézerolles and 23 ares of Les Grands Epenots, all Premier Cru. For the last decade, the family holdings have also included a half-hectare of Puligny-Montrachet, Les Caillerets, a Premier Cru vineyard producing Grand Cru quality white Burgundy. In 2004, the Domaine acquired just over one hectare of Grand Cru vineyards in Corton, including .65 hectares of red Corton Pougets, and .4 hectares of white Corton-Charlemagne. The terroir is truly exceptional, facing full south and located at mid-slope. The vines average thirty-five years of age. In 2005, the Domaine further expanded with acquisitions from Thomas Moillard, including .287 hectares of the very top tier of Clos de Vougeot (by the abandoned tower just west of the Château de LaTour), and 1.38 hectares of Vosne-Romanée, Les Malconsorts, of which a very special parcel of .48 hectares ( Cuvée Christiane) was, inferentially, once amputated from the original La Tâche vineyard. The vineyards are planted two-thirds with Pinot Noir clones, especially ## 777, 667, 115 and 997. The final one-third derives from selection massale, the vinicultural practice of propagating new vines from existing vines in the same vineyard that demonstrate desirable phonological attributes. Unlike clonal selection, plant material in selection massale is not homogenous. Those who practice selection massale contend the genetic diversity improves the character and complexity of the final wine. Historically, farmers used trial and error to improve their vineyard by propagating plant material from an existing vineyard block based on desirable phenological attributes: vine health, relative vigor, berry size, cluster size, time of ripening, and, of course, quality of resulting wine. The vines at Domaine de Montille are planted with 1 meter spacing, a density of 10,000 vines/hectare, and trained with Guyot simple (single cane with a single spur). The viticulture is rigorously organic and the strictures of biodynamic farming have been followed for years. 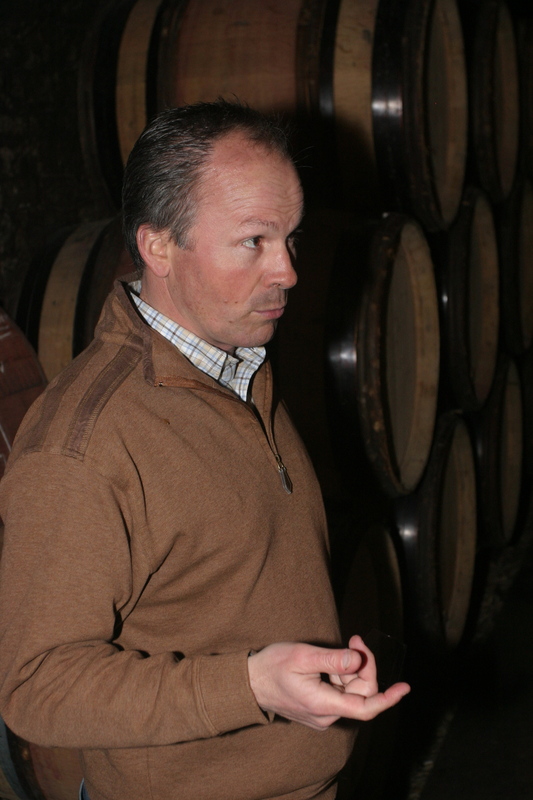 Etienne started experimenting with biodynamie in Mitans and gradually expanded the practices into the entire Domaine. Official certification is expected shortly. 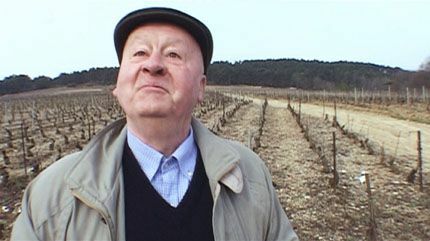 Etienne contends, however, that biodynamie is not an end in itself, but only one means for achieving his goal: the production of the finest wine possible. He thus employs biodynamic farming not because it’s fashionably green, but because it serves his purpose very well. Etienne de Montille believes that both low yields and old vines are false gods, and must not be worshipped. This is not to suggest that his yields are high because they are not (35-40hl/ha for reds; 40-45hl/ha for whites). Nor is this to suggest that his vines are young because they are not (average age: 35 years). What Etienne proposes is that, contrary to some simple-minded critics, low yields and old vines are not goals in themselves and that wines do not invariably get better as vine age goes up and yields fall. Instead, he contends that the optimal age for vines is often dictated by the vineyard itself. For example, the soil in many vineyards is not rich enough to support old vines, and vines in such a vineyard should be replaced after they exceed their maximum age. Similarly, low yields should not be manipulated but allowed to occur through natural mechanisms, such as the absence of fertilizers. Etienne varies his winemaking techniques each year to accommodate the permutations of the vintage. For example, in 2004, the Pinot Noir was fully destemmed, whereas in 2005 whole clusters alone were used. Etienne disfavors extended cold maceration, and the pre-fermenation maceration rarely exceeds 2-3 days. Only indigenous yeast is used. Fermentation occurs at fairly high temperature, up to 35° C., with a cuvaison in open wood vats of 15-21 days accompanied by 6-8 pigéages during the first few days. Chaptalisation is strenuously resisted so that the wines rarely exceed 12°C alcohol. After fermentation, there is a static débourbage for about 72 hours. Disfavoring woody wines, the domaine uses only 25% new oak. The wines are generally racked only twice before they are lightly fined with egg whites and bottled unfiltered. Total élevage generally comprises between twenty and twenty-four months. Montille wines are above all harmonious and elegant, characterized by a plethora of subtle notes that ring remarkably true to the terroir. Noblesse oblige.